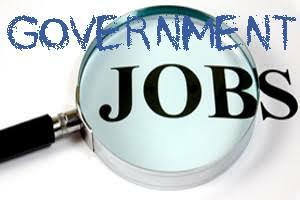 Do You Need Government Job To Survive? There is a question bothering us at NNB and we need your opinion as it may be of help to someone. As a Nigerian, do you need government job to survive? I was fortunate to read a statement by someone that says, "I have been jobless for 7 years and I couldn't get a government appointment." According to thebalancecareer, government job has some pros and cons. Three of the cons are; Slow salary growth, capped earning potentials and low level of control. In my humble opinion, one needs not wait for years jobless because government job isn't knocking. It is simply a waste of time. There are tons of skills out there that can bring food to the table pending the time government appointment will click. I do not mean government job isn't worth doing but, while waiting for it make sure you have something to rely on. If its job security, with the state of our nation, one can't be so sure it will be secured forever. If we look at it critically, how many of the world rulers spend all the days of their lives working in the government job? How do you survive working for a government that pays salary every three months? Do you really need a government job to survive? Endeavor to drop your opinion.